Blackberry released a new duo of devices, the Evolve and Evolve X, a few days ago, and while they're solid devices on paper, we can't seem to shake off the feeling that they're irresponsibly priced. 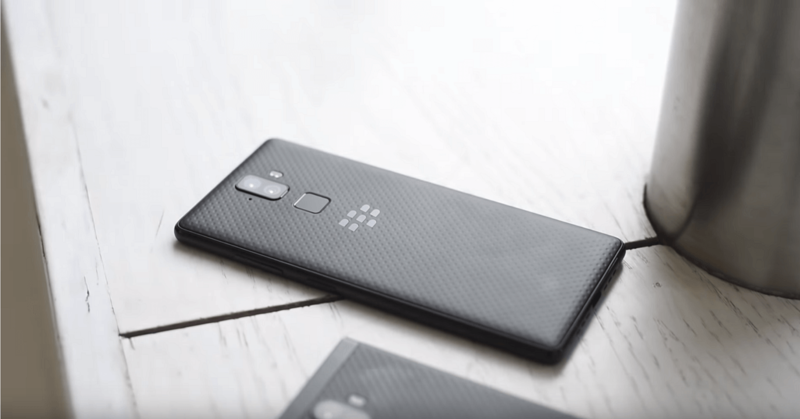 Blackberry unveiled its main device for the year, the Blackberry KEY2, a few months ago. Rumors from much earlier in the year claimed the company would release at least two devices in 2018, so it’s no surprise that two more devices have now been unveiled, in the form of the Evolve and Evolve X. The KEY2 is peculiar for being the only mainstream premium device with a physical keyboard but the new duo of Evolve phones choose a traditional touchscreen layout instead. There’s also the fact that both devices are currently only available for the Indian market. Both the Evolve and its Evolve X sibling share a number of specifications. Both feature 5.99-inch FHD+ displays, thankfully without notches. Both sport rear fingerprint readers, massive 4000 mAh batteries, Corning Gorilla Glass 5, and support for wireless charging. Camera-wise, there’s not much between the two devices either, as they both opt for single 16 MP selfie shooters with f/2.0 apertures. At the rear of the devices, the Evolve houses a 13 MP + 13 MP Monochrome + RGB setup, while the Evolve X opts for a 12 MP (f/1.8, 1.4um) + 13MP (f/2.6, 1.0um) lineup. Other differences between the two devices include memory, as the Evolve features 4 GB of RAM while the Evolve X has 6 GB. Both boast of 64 GB of storage. The biggest difference, however, is the SoCs the devices are powered by, as there’s a huge difference in performance between the Evolve X’s sub-premium Snapdragon 660 and the base Evolve’s entry-level Snapdragon 450. All of that brings us to price. The Evolve has an MSRP of INR 24,990 ($365) while the Evolve X will set buyers back INR 34,990 ($510). That’s a difference of almost US$150 and for what? A SoC upgrade, two extra gigabytes of RAM, and a slight camera bump in quality? That notwithstanding, only a few would consider these devices appropriately priced. At the US$365 price point, devices like the Nova 3i, Redmi Note 5 Pro, and Nokia 7 Plus significantly more value, while the US$510 Evolve X competes with the OnePlus 6 and Honor 10—and loses miserably.